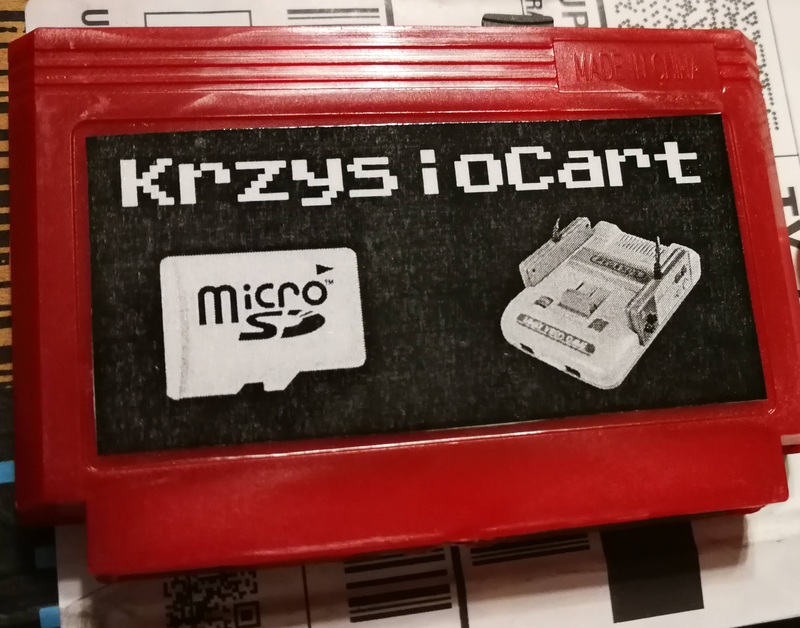 The Krzysiocart is a flashcart made primarily for the famiclone consoles. It also works on most famicom compatible hardware. It was developed by Krzysiobal a Polish developer who was inspired by the Pegasus a famiclone popular in Poland. It all began as a project for his tesis, then worked on ministurizing it until he got to the product he is now selling. It is a small one man operation, you contact this guy via eail, ask for payment details, send the money then he ships it very quickly. Price is $55 USD shipped to the US. 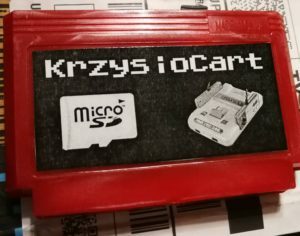 Besides the flashcart, a 4GB microsd and usb adapter are also included. I tried it on the AVS and on a NOAC Famiclone console (SY-700) and it worked fine on both consoles. The interface is simple, look for your file, press A then your game boots. When you place the cursor on a rom file, at the bottom a message tells you if the rom is compatible or not. dbelec cannot “complain” about incompatible voltages. The creator took special care to protect both the device and the console. Battery backup (sram) doesn’t work at all. Games like Kirby and Zelda run fine but won’t save progress on a file like they do on an Everdrive or a Powerpak. A number of gamesare just not compatible. Like mentioned before you’ll see if a game is not compatible on the menu. Examples of incompatible games are Goal 2, Japanese and American Castlevania 3, Mike Tyson’s Punch Out, unlicensed games, etc. Contra 100 in 1 works. Haven’t tried 168 in 1. It doesn’t sort files, you have to use a utility like Fat32 sorter. It works on the AVS, however, after pressing reset it doesn’t go back to the main menu, it only resets the game loaded in memory. You have to turn off the console to return to the rom selection screen. It is a tad slow to load even small size roms. While you wait you’re treated to a color changing screen. For what t is and for the price I can’t complain, it works great and still you can run a great selection of games. You can still have a lot of fun.